Today you can find many different kinds of gearboxes on the market and the different designations can be pretty confusing. However, there are only several basic ideas supporting the different systems in most of these gearboxes. Here you can learn about the different kinds of gearboxes, their basic operations, acronyms and abbreviations used and, last but not least, available tunings for each of them. Read on for an easy and efficient way of getting all your gearbox tuning options in one place. Most gearbox tuning is done on automatic gearboxes and on two basic kinds in particular – conventional automatics with torque converters and, increasingly commonly, dual-clutch gearboxes. There are other kinds of automatic gearboxes as well, like the PSA Group EGC automated manual, or various CVT versions, but they are rare when compared to the two kinds mentioned above and definitely not as desirable, especially when it comes to the driving feel. Conventional automatics usually use planetary gears and a torque converter whose job is to facilitate smooth gear changes. However, it also creates some losses, since its operation is based on a liquid used to transfer the force. Some of the most common automatic transmissions are of this type, including several generations of G-Tronic gearboxes used in Mercedes-Benz vehicles, or Tiptronic gearboxes used in VAG vehicles. Today, ZF 8-speed torque converter automatic is one of the most common gearboxes used in numerous vehicles including various BMW, Jaguar and Land Rover models. The smoothness of gear changes is one of the biggest advantages, but aside from the losses created by torque converter before locking, this kind of gearbox can be very slow to react. Tuning it can make far better, especially if done together with engine tuning. 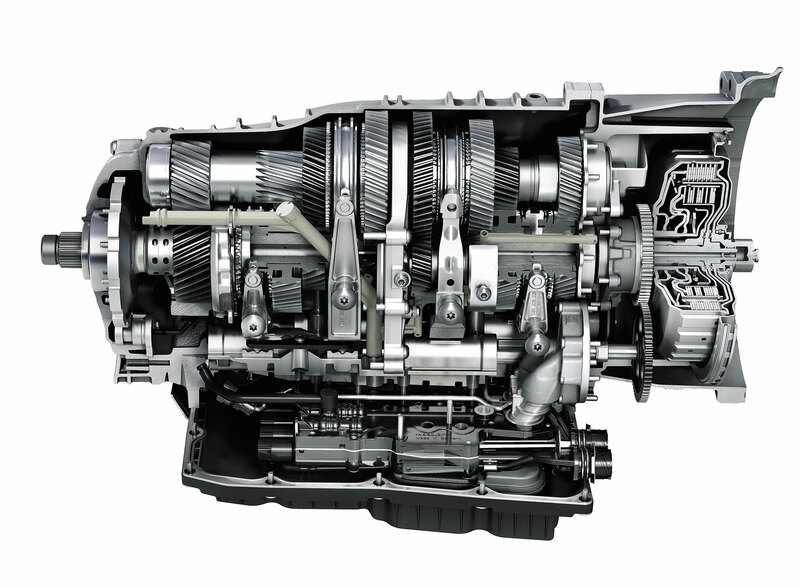 Dual-clutch gearboxes have two clutches, usually used in a way that the first one controls odd gears and the second one even gears (in a 6-speed dual-clutch, one clutch controls gears 1, 3 and 5 and the other one gears 2, 4 and 6). This enables gear changes to be prepared and occur almost instantly. For example, if a car is in gear 4 and the revs are rising, the second clutch prepares gear 5. The moment electronic control unit determines the gear should be changed, the clutch controlling gear 4 disengages and the clutch controlling gear 5 engages. The most common DCT gearboxes include DSG used by Volkswagen, DKG used by BMW, Powershift used by Ford, 7G-DCT used by Mercedes and AMG SpeedShift used in AMG vehicles, PDK in Porsche vehicles, S-Tronic used by Audi and many more. Dual-clutch gearbox enables really fast shifts that can be next to seamless. Also, there is no torque converter-caused loss, so fuel efficiency is usually improved with DCT. However, this kind of operation also gives a lot of room for issues with the way the electronic control system works. For example, DSG is infamous for its low-speed shifting jerks. Similarly, if the disengaged clutch prepares the wrong gear, shifting time and comfort become much worse. For example, if you are driving up a hill and are under a heavy load in gear 3, high RPMs can give the gearbox the idea that you want to shift to gear 4. However, you might be approaching a sharp turn and actually want to go to gear 2 in order to preserve the momentum. Even if you give it a manual paddle shift gear change to gear 2, the clutch needs time to disengage gear 4 and engage gear 2. Luckily, having such straightforward mechanical system and being controlled by an electronic unit, expertly tuning DCT enables us to tailor its operation to suit your needs. Tuning the gearbox lets us adapt its operation to your requirements and especially so if you have tuned the engine as well. Below you can find a list of gearboxes we can tune for you. Even if your particular model is not in the list, make sure you contact us to see if we have the service available. Why should I tune my gearbox? Drive / ECO mode makes the car too lazy, especially for petrol engines because rpm is kept at very low rpm – too low for most petrol engines (below spooling of turbo), which means torque is rarely used to its full potential. Changing shift points for upshift and downshift will make a big difference and your car will feel much more powerful, as the engine will finally reach RPM ranges where it can use its power and torque efficiently. The engine is tuned but the gearbox often holds back torque because it measures too high torque levels at Canbus. In that case, we need to increase torque limiters in the gearbox in order to allow the engine to transfer its full, but also safe, potential to the road. 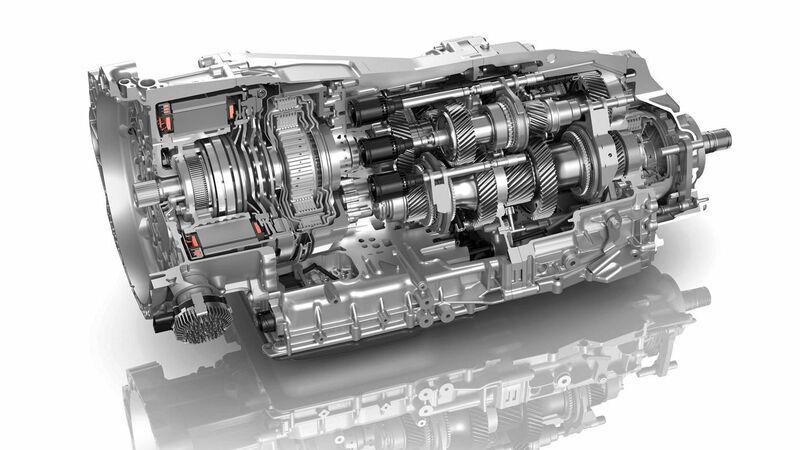 Many gearboxes (VAG especially) have electronically created delays that reduce shift times. These delays can be decreased dramatically allowing much quicker acceleration and reaction time. Even without engine tuning, shift speed and shift points tuning can make a car feel much more powerful. 4. Increased clutch clamping pressure. If you tune your cars heavily (such as Stage 3 tuning projects) your clutch can start slipping, because its preprogrammed clamping pressure is not intended to deal with the added torque. Increasing clamping pressure electronically can solve this. Many gearboxes have launch-control function inside but it is either not activated or the number of launches is limited. Similarly, it can be limited based on temperature or steering position or only active when ESP is off. We can modify this for you. In some case we can even add boost on standstill by cutting ignition. Predetermined launch RPM can be changed to RPM where real power is available. This enables your car to launch optimally and really make use of the power it has. You will be able to brake with your left foot and keep your right foot on the throttle like in a real racecar or kart. You are now able to use both pedals at the same time. Normally throttle goes off when brake is applied, but we can adjust this for you and give you racecar functionality that can have dramatic effects on your lap times. On max RPM and low RPM even when in manual shifting mode, the gearbox takes over and shifts to another gear. On request, we can deactivate this so you really have full control in manual shifting mode. On request we can change the Max RPM available in different modes - Parking, Neutral, Drive Sport and Manual Shift can all have their rev limiters adjusted independently. Depending on the type of gearbox we can modify one or more of these 12 options. Have a look at the gearbox tuning list below, or contact us for more information. If your car make is not listed?